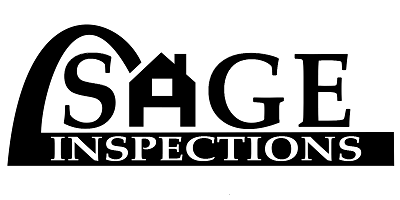 I’m Norm Tyler of Sage Inspections, a Local & Independent ASHI Certified Inspector serving St. Louis, St. Charles, Jefferson County and surrounding areas. My goal is to make sure my home buyers and sellers get to closing with no surprises. I do Residential, Investment, Termite, Radon, Sewer cameras, Well, Septic, and Mold evaluations. Pretty much everything you need to know to make a great decision. I’m an insured, licensed, affordable qualified inspector you can trust. Even as a little kid, rewiring the faulty electric in the kitchen, I found I had a knack for troubleshooting and repairing homes. I drove tradesmen crazy with questions because I was relentlessly curious about the mysterious workings of houses. Plumbing, electrical, heating/cooling – whatever was broken I wanted to know how to fix it. Through the patience of many kind professionals I learned a lot over the years. I have owned or worked on properties for others filled with strange, interesting and sometimes frightening challenges. That curiosity has continued as I’ve grown through my professional life. I’ve been involved with residential investment property for over 30 years now. In that time I’ve bought and sold many properties, spent countless hours doing contracting and remodeling work for myself and others, including major electrical, plumbing, and construction. I have also consulted with friends and family on many of their own purchases and projects. On each project, I’ve dug deep into issues, finding root causes and learning continually as I worked through the inevitable challenges every project presents. Sage Inspections is a continuation of that work. I bring many years of well-rounded experience to the table along with the lessons I’ve learned from hundreds of projects over the last 30 years. I know how important it is to be confident in your purchase of a home or investment property and I have the experience and expertise to help. While practical experience is invaluable, I also recognize the importance of formal professional development. I have passed the National Home Inspector’s Exam and am a proud member of ASHI, as an ASHI Certified Inspector. For a full list of my qualifications and professional memberships, please visit our Qualifications page. We’re available when you need us, even when that’s an evening or weekend. St. Louis, St. Charles, Jefferson or surrounding counties – We’ll go where you need us! We’re certified, licensed and bonded and we’re ready to help you with your next purchase. We’d love the opportunity to put our expertise to work for you. You can schedule your inspection online here or call me at 314-704-6834.